Between making waves as T. Swift’s beau (never bae..never), an accomplished DJ, and an Armani underwear model – Calvin Harris has been a busy guy this year. This music man shines in simple outfits with unique twists like tapered trousers and monochromatic ensembles, but we especially like his dressed down style with bold kicks and luxe tees. Arguably adjacent to Swifts’s squad, – degrees away from her friendship with Girls’ Lena Dunham – Adam Driver has made the rounds in Hollywood this year with multiple acclaimed films and a solid SNL hosting gig. He outfits his 6’3″ frame in impeccably fitting suits and we love how he’s mastered the transition from suiting to dressing to down a blazer. Russell Westbrook is known for fashion risks and making athleisure 2.0 look oh-so-cool. He’s the self-proclaimed “Fashion King and can rock a Givenchy coat with skinny jeans as casually as someone else would throw on a tee and chinos – we can’t get enough of his wild wardrobe. We’ve watched him seal advertising deals in retro slim suits for years, but this Mad Men star is just as polished in real life. He sticks to the basics, and shows how wardrobe staples are anything but boring. When he’s not singing – and dancing – his way into our hearts, The Weeknd is tearing up the outerwear game (in a good way, of course). Never shying away from a bomber jacket and tapered pants, he mixing unconventional proportions with slim fits for an overall look that flatters his body type. Antonio got a lot of love from SG at this year’s NFL Honors for his risky style that usually reaps high rewards. He takes a full throttle approach towards pattern, but keeps it sartorially sound by focusing on proper fit. …The Weekend or Antonio Brown? Back at it again with the unique pieces! A$AP Rocky’s experimental style earned him a spot in last year’s Men’s Style Madness bracket – and this year, his slick style has evolved even more. This funny man’s style has been improving leaps and bounds this year. Multiple jewel-toned tuxedo jackets? Count us in. We love how he changes his glasses to fit various outfits, and keeps the rest minimal. Kanye said it best during their highly publicized Twitter feud, “I went to look at your twitter and you were wearing cool pants…I screen grabbed those pants and sent it to my style team #wizwearscoolpants.” Wiz expertly outfits his thin frame, even with lower cut shirts. Jaime Lannister, I mean, Nikolaj generally keeps to hues of blue and earth tones in dapper looks on red carpets and casual events alike. 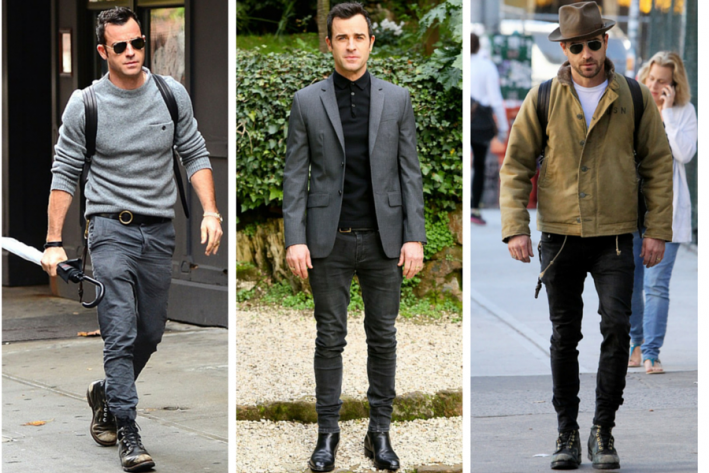 He’s a prime example of finding a style that works for you and sticking to it. Sam Smith has been on a style (and professional) winning streak this year. He’s mastered a three-piece suit at the Grammys and Oscars, and we can’t get enough of his sharp outerwear. Theroux has had his rocker-meets-utilitarian wardrobe down pat for years with no signs of slowing down anytime soon. Marriage to the ever-perfect Jen Aniston is probably enough of an added bonus, but we think his style is definitely praiseworthy. Sneaker drops? Check. Drop crotch joggers? Check. Mario Balotelli keeps his hair, shoe, and wardrobe choices on the brink of every trend (according to himself and GQ, of course). MBJ is quickly becoming a Hollywood golden boy, which is something we’re 100% okay with calling him. He shines in tailored slim cuts in monochrome and never holds back when it comes to a bold color or unusual pattern. Remember that #freetheknee movement that started a social media storm of opinions? 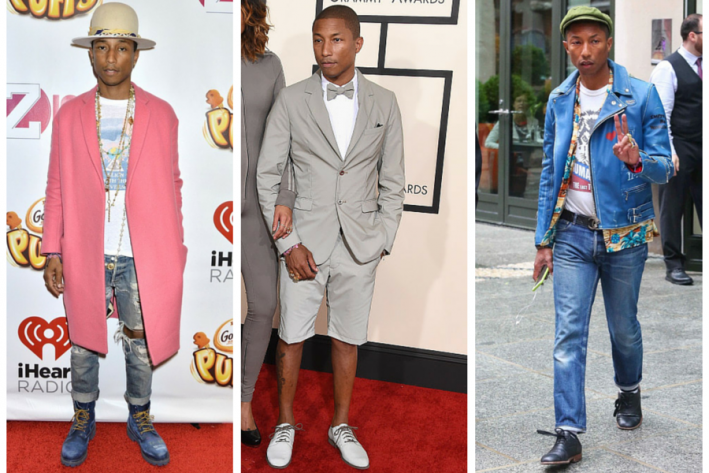 Well, Pharrell has been on the ground floor of that trend far before it made headlines. Pharrell’s music and style beats to the sound of his own drum, and that’s what makes it so interesting. He may be new to the Top 40 playlists, but he’s no novice at making a ‘best dressed’ list. 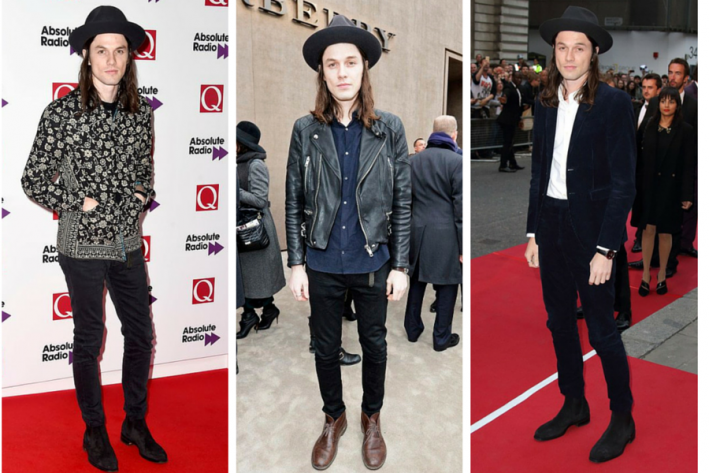 James Bay’s soulful sound is made that much better by his boho rocker style and mastery of dressing up or down a black hat. Get your votes in by 11:59pm tonight! Check back for results and two new rounds tomorrow.